A list of the best foods to eat that are rich in zinc. Zinc is an element that can be found on the periodic table and it can also be found in your body. It is used in many applications to avoid rust or other deteriorating causes, such applications including batteries. It is also popular in marine applications to slow down the breakdown of the oceans salt on ships. It is an element that has many uses that most people take for granted. But this article isn’t about the industrial uses of zinc; it is how your body benefits from zinc and the foods that contain a high amount of it. First, let me explain why our bodies need zinc in the first place. Zinc is one of those elements that affects a lot of how our body functions and is essential to maintain our health. 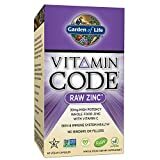 If our bodies did not have zinc, then we could never have a healthy blood stream, produce hormones like testosterone, and we would not have proper brain function. There are many things that would go wrong with our bodies if they didn’t have zinc, but those examples are among the most important. Another important side note is that zinc helps are bodies cure cuts or wounds on our skin. It makes cuts heal faster by helping the white blood cells in your body do a more efficient job. Helps our bodies take in other essential nutrients. Zinc does this by helping our body absorb those nutrients better. Helps sexual development among adolescents. So many of the foods we eat contain zinc. More foods have high traces of it than others, but if you are eating a well balance diet, you should be getting the necessary daily amounts of it. But if you are worried that you may have a deficiency of zinc, then it is best to go to your doctor or other medical specialist to take some blood samples and see if you lack zinc in your blood stream. If you do here are some foods that will help in your quest to regain zinc levels again. Oysters are at the top of the list for a good reason. 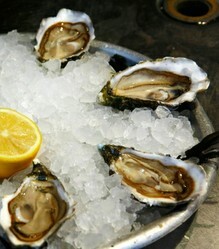 They contain the most levels of zinc than any food you can find. They also contain many other essential nutrients and vitamins, such as vitamin A, vitamin C, Pantothenic acid, and Selenium. The other nutrients are great to digest with zinc because like I mentioned before, zinc helps absorb other nutrients better. If you eat a serving of pork you will be eating a majority of your daily recommended of zinc. You may even be eating more of the recommended amount. Pork also has high amounts of Selenium. Brazil Nuts are packed with zinc. They also contain large amounts of Selenium, Magnesium, and Phosphorus. If you are eating beef make sure it is lean and does not contain a lot of fat. A little fat is good, but too much of it will cause problems down the road for you. Lean hamburger or a lean piece of steak will do just find for great amounts of zinc. Eating whole eggs will give you a good chunk of your daily-recommended amount of zinc. You can also eat only egg whites to gain zinc intake, if you don’t like the idea of eating the egg yolks. Want to support your immune system? Try Nature Made Zinc. This formula helps boost immune support while also acting as a vital growth and development nutrient.